A team from the 21 para commando of the Indian Army has launched search operation on Monday morning to trace the ill-fated Maruti Swift Dzire vehicle inside which the five members of a family are suspected to have been drowned in the Dikhow River at Dichial village of Dikhowmukh area in upper Assam’s Sivasagar district on Saturday evening. 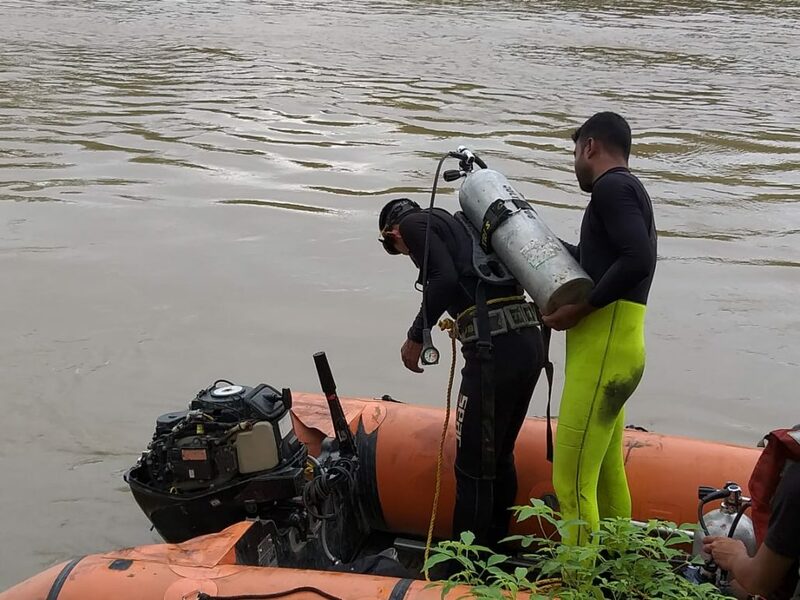 Earlier, frantic search by teams comprising National Disaster Response Force (NDRF), State Disaster Response Force (SDRF) and police have failed to locate the vehicle that plunged into the river along with five occupants – Guwahati-based businessman Haren Bora, his wife Madhabi (Phunu) Bora, 45, two daughters, Dikshita (Chimpi), 21, and Nikshita (Munmi), 18 , – and his octogenarian mother Punou Bora. Another team from the Indian Navy is expected to arrive later on Monday afternoon. The rescue operation was called off by the administration on Sunday evening. 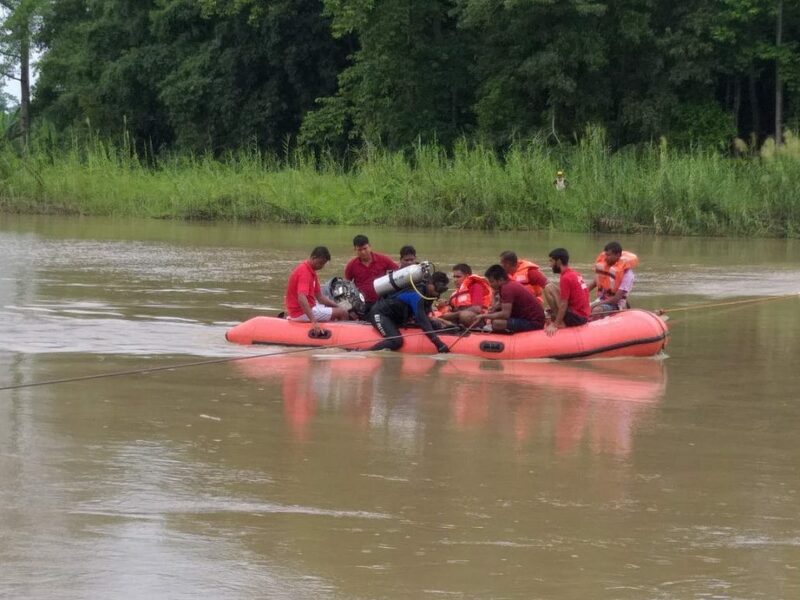 “Three teams belonging to NDRF and SDRF have been pressed into service for the search and rescue operation on a 200 metre stretch in the river at Dichial, where the incident took place but the strong current of water is posing a serious challenge,” a district administration official told Northeast Now. Later on Sunday evening, the Deputy Commissioenr of Sivasagar district has written to the Indian Army and Navy seeking help in the search and rescue operation. The para commando team is assisted by the teams from NDRF and SDRF in the rescue operation that resumed early Monday morning. Several boats, one motorized ferry and dozens of divers have been pressed into service to trace the missing vehicle and its ill-fated occupants.